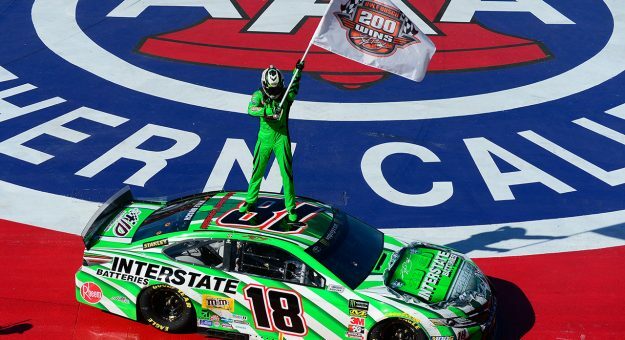 Kyle Busch scored his 200th NASCAR national series win when he took the checkered flag in Sunday’s Monster Energy Cup Series Auto Club 400 at Auto Club Speedway. 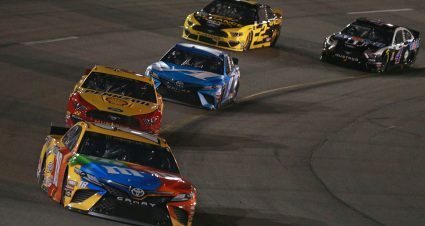 The Joe Gibbs Racing driver scored his second win of the season and 53rd of his career when he took the checkered flag on Sunday. 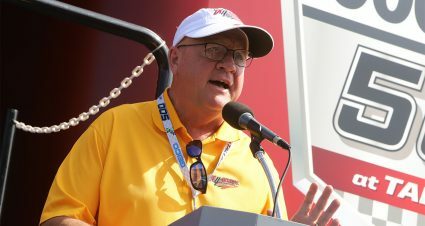 Adding to his 94 wins in the Xfinity Series and 53 wins in the Truck Series, Busch tied Richard Petty for 200 wins across NASCAR’s top tiers. Petty’s all came in the Cup Series. “It feels just like No. 1, just like yesterday,” Busch said when asked how it felt to get the 200th win. “It was such an awesome race car. i mean, dang. I’m glad we put on a heck of a show for all these fans here at Auto Club Speedway. Busch dominated again leading 133 of the day’s 200 laps. He is the first driver with a pair of wins so far in the 2019 season after his ISM Raceway victory in Phoenix a week ago. Joey Logano and Brad Keselowski were second and third for Team Penske. Kevin Harvick and Ryan Blaney rounded out the top five. Kurt Busch, Denny Hamlin, Martin Truex Jr., Aric Almirola and pole sitter Austin Dillon completed the first 10 finishers. 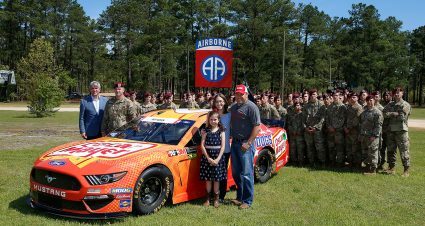 The Monster Energy NASCAR Cup Series now heads to Martinsville Speedway next Sunday afternoon for the first short-track race of the season. How Busch Won: He was forced to come back from a pit road speeding penalty on Lap 123 and started 18th after a late round of pit stops. But there was no slowing down Busch who sliced his way through the field. And after a caution on Lap 165 once he was able to soon wrestle the lead away again and pulled out to a comfortable advantage to win by 2.345-seconds. 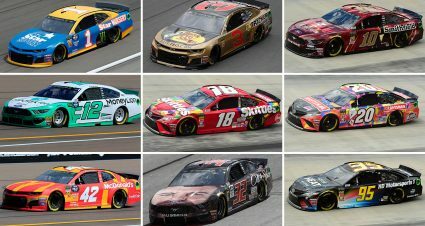 Who Had a Good Day: Keselowski has finished top three in three of the last four races of 2019 and finished top 10 in the last five races at ACS…Harvick has finished top 10 in the last four races of 2019, including three top fives…Kurt Busch finished top 10 in each of the last four races of 2019…Austin Dillon did score his first top-10 of the season. 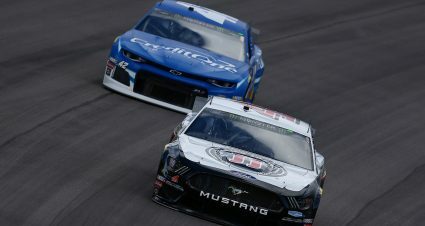 Who Had a Bad Day: Austin Dillon started from the pole and had Saturday’s Xfinity Series race winner, Cole Custer, standing by as a relief driver because the Richard Childress Racing driver wasn’t feeling well. Dillon started the race but felt whole lot worse when his tire blew and he hit the wall just before the end of the first stage. He did rally back for a top-10 finish…A right rear tire issue also bit Dillon’s RCR teammate Daniel Hemric with 30 laps remaining in the second stage causing damage to his Camaro…Bubba Wallace had a left-front tire issue that caused significant damage to his Richard Petty Motorsports Chevrolet with 37 laps to go…Clint Bowyer battled a sour engine all day and finished last. What Else Happened: The race was the second featuring the new full blown new rules package including aero ducts along with other body modifications and 550 horsepower. 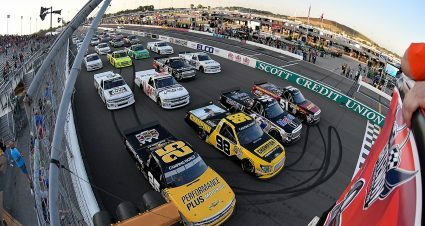 As was the case the last time it was used in Las Vegas two weeks ago, the impact seemed to keep cars a bit closer together especially after the insane five-wide restarts. But as laps ticked off cars did string out however tire wear, already a premium on the worn out Auto Club track surface, was accelerated. Overall the race reflected a “typical” ACS race, which by no means was a bad thing. Quotable: “If there’s any car and any driver that can get back up there, it’s us,” crew chief Adam Stevens to Kyle Busch after the team’s pit road speeding penalty. 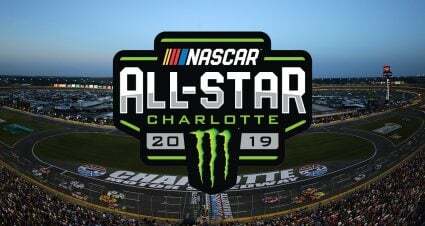 Notables: Kyle Busch swept every stage and the race for the second time in his career (Charlotte May 2018)…Busch gave Joe Gibbs Racing its 160th career victory.